In Jenny Forsythe's journey to learn to be a wingwalker, she visited the Silver Wings Wingwalking Team. Jenny started wingwalking on an ultralight with her biological dad, Bob Essel. When she started working with her current team she was looking for inspiration, which she sought from wingwalker, Margaret Stivers. Photo montages from August 25, and 26, 2007. 1. Eric Van Gilder photos August, 25, 2007. 2. 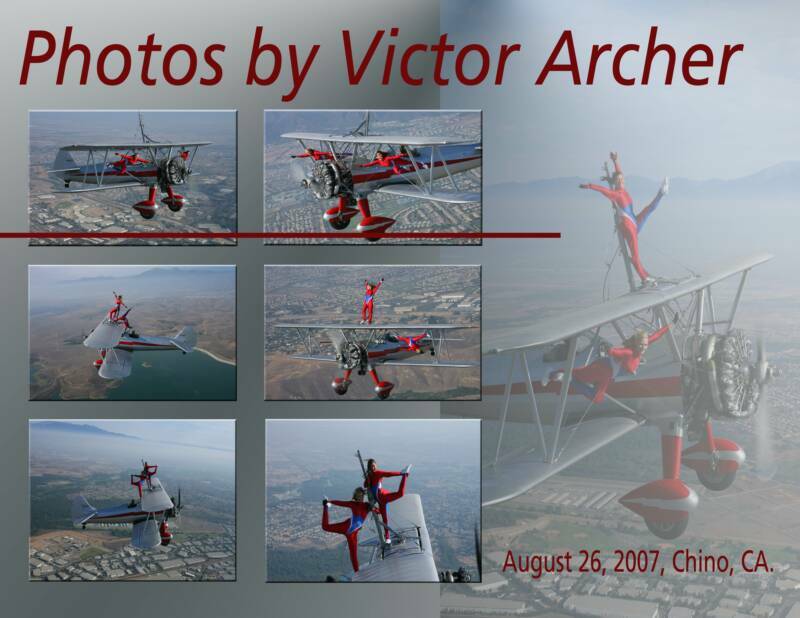 Victor Archer photos, August 26, 2007.